This month I have no monthly favourites (very sad face). I just didn’t discover anything new, and how often can I rave about one certain product. That’s why I thought it would be fun, to write about one of my favourite perfumes I have been obsessing over lately. I just love, love this perfume and I am so proud that this perfume was designed by the dutch designer duo Victor & Rolf. Not only are they one of the best designers in women clothing out there, but they are the creators of wonderful perfumes. So without further ado let’s get started. Now why do I love, love this perfume? First of all could the bottle be any cuter. 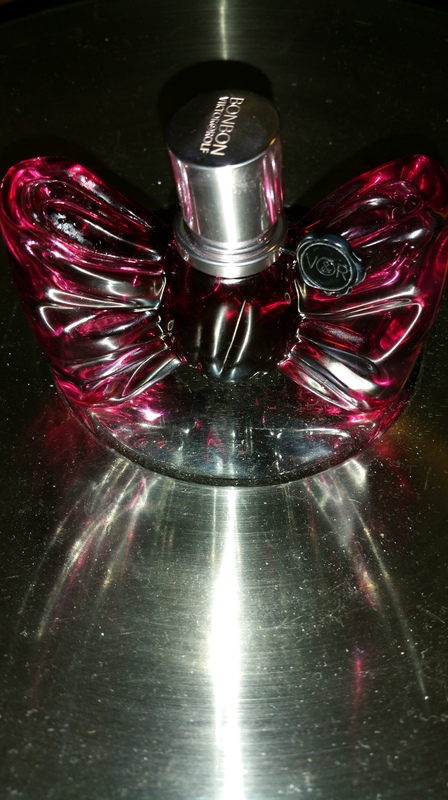 The bottle is shaped like a bow totally cute right? Also the pink/cranberry colour of the bottle is gorgeous and elegant. But the reason why I absolute love this perfume is the smell. Its so elegant and seductive smelling. This perfume contains a lot of sweet and fruity notes, so if you are sucker (like me) for fruity/sweet perfumes , this is the perfume for you. When I am wearing this perfume I can’t stop smelling myself. It just smells so good. Also another benefit is that this perfume lingers for a long time, definitely a sign of high end perfume. So you don’t have to continuously spritz yourself. The only downside of this perfume is the price, It really is expensive, so you really need to save up. But I have to say its totally worth the money because of all the reasons mentioned above. So if you are in love with this perfume, you could ask this perfume as a birthday present. I have not yet found a dupe for this perfume but I will keep on looking. Perhaps you already know of a dupe for this perfume, please let me know of these dupes via a comment. I hope you enjoyed this blog. Let me know via a comment if you like these types of blogs. If you like the blog please like or subscribe. Have a lovely day my readers.